Jeffrey J. Silver graduated from Pikesville Senior High School in Baltimore County in 1974. Jeff attended the University of Maryland, Baltimore County where he was Vice President of the Student Government Association. While at UMBC, Jeff was appointed by then acting Governor Blair Lee and confirmed by the Maryland State Senate as a Student Member of the University of Maryland Board of Regents. He also served in the Faculty Senate and numerous other search committees and campus committees. In 1979, Jeff graduated from UMBC with a Bachelor of Arts in Bio-Psychology. Jeff bartended at a local pub while earning his law degree from the University of Baltimore School of Law, from which he graduated in 1982. After being admitted to the Maryland Bar in 1982, Jeff worked for a personal injury firm in Baltimore City for five years where he gained valuable experience in personal injury, workers’ compensation, social security disability and criminal law. Jeff founded The Law Offices of Jeffrey J. Silver in 1987 as a solo practitioner and is currently Managing Partner of Silver Kolker LLP. 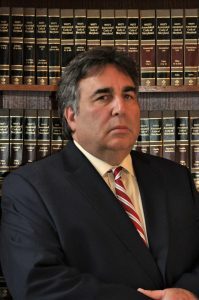 With over thirty-six years of experience as an attorney in Baltimore City, Jeff is a seasoned personal injury attorney who has secured thousands of substantial settlements and verdicts on behalf of his clients. Jeff is a diehard fan of Maryland sports. When he isn’t cheering on the Ravens, Orioles or Terps, Jeff enjoys boating the Chesapeake Bay and its tributaries, traveling with his wife and spending time with his two dogs.